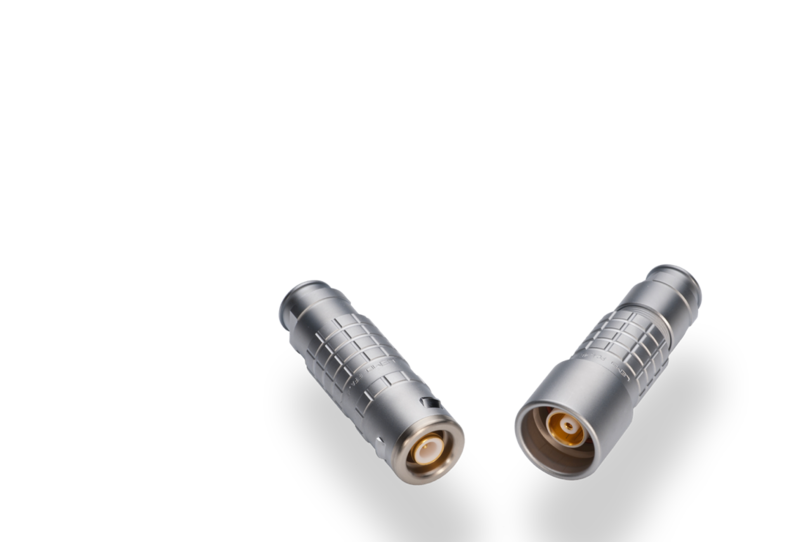 Designed for harsh environments, the 4E Series connector guarantees a protection index of IP66. The 4E Series has blind mating possibility and is fully EMC. The rugged metallic outer shell provides superior protection against rough working conditions as well as outstanding EMC protection. This triaxial 75 ohm is widely used in the European Union for broadcast cameras and can be used with RG59 or RG 11 cables.